To join our Slack network, you can get an invite automatically. Our Slack network has a bunch of interesting folks hanging out and chatting about documentation. It’s the best way to connect with our community, and to stay in touch with folks you’ve met at our conferences and meetups. Below we have a bit more information about the useful Slack channels that we have. This should start you off on the right foot, and get you connected with folks who have similar interests. We don’t pay for our Slack, which means that the community has access to only the most recent 10,000 messages. Not only is paid Slack prohibitively expensive for a community like ours, but many people seem to feel a freedom in knowing that their words will disappear shortly. Folks have also said that if the conversations were archived/published, they’d quit participating. You can join our Slack if you aren’t already a member. Feel free to send a Pull Request to update this page, if you want to include other channels. #general - The main channel for documentation related conversation and questions. #wtd-conferences - Questions and other thoughts around the Conferences. #meetups - Questions and other thoughts about our Meetups. #career-advice - Should you take that job? Am I being paid enough? Ask here! #markup-the-docs - Talk about markup languages. Markdown, rST, Asciidoc, etc. #documenting-apis - Talk about REST API’s. Swagger, Apiary, API Blueprint, and other API doc tools. #sphinx - Talk about the Sphinx documentation generation tool. #flare - Talk about the Flare documentation toolkit. #confluence - Talk about everyone’s favorite Wiki. We have too many location-based channels to list. Chances are we have a large group of folks in your neck of the woods, so join up and chat with them. They’re a great way to get in touch with your local meetup organizer and community. Our goal with Write the Docs is to be the most welcoming community on the internet. Documentarians tend to be empathetic people, which means that we should be good at communicating well. People who are new to our community in particular should be assisted and welcomed. Only participate when you can be constructive - Just because you can make a comment, doesn’t mean you should. Try and be constructive in all that you do. Say hi - The world is a better place with a flood of hello’s. Don’t be snarky - We are all trying the best we can. Be careful with jokes - You know that you’re joking, but some people might take you seriously. If you don’t have anything nice to say, don’t say anything at all - Once again our parents were quite wise. Use inclusive language - Our community is multicultural, multiracial, multigendered, and generally diverse. When posting in channels, avoid using words such as “guys” to address a mixed group. Possible alternatives: “folks”, “everyone”, “documentarians”. There is a specific set of behavior that is prevalent in online communities that I’d like to address. I’d like to make sure we don’t fall into these same traps. No Black Sheep - There may be tools that you don’t like. There is a good chance there is someone in the room who either helped create or likes to use that tool. Don’t make them feel bad, they are likely just in a different context. Let Me Google That For You (LMGTFY) - If people ask questions that are simple to answer on Google, still answer them nicely. Question Policing - Some people might ask incomplete questions that are hard to answer. Ask follow up questions and act in good faith to help them solve their issues. Technology Competitions - We don’t care if your tool is faster or better in some metric. We care about creating great documentation for our users. Spam - Respect our space. Don’t post spam or otherwise vandalize our community. 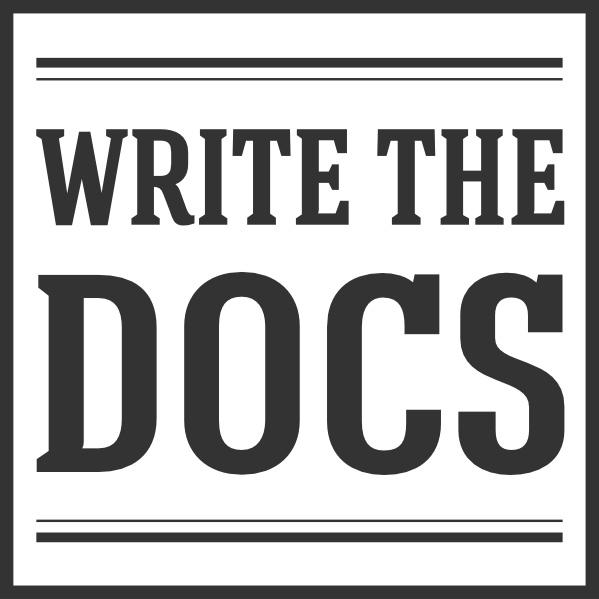 Welcome to the Write the Docs Slack! We're glad you're here, and we look forward to your contributions to our community. We've written some guidelines to help you get the most out of this Slack. Please take a few minutes to learn about some of our channels, and familiarize yourself with our social rules. All this information is at https://www.writethedocs.org/slack/ -- make sure to look through the whole page. We are grounded in the principles of open source, and we pride ourselves on being one of the most welcoming communities in tech. Our social rules are an important tool to further this goal! There's a lot more on the website, too -- explore, get involved, and welcome! Message them privately, and explain why what they said might have been hurtful to someone, referring to this guide. Ask a Moderation Team member privately to talk to the user, include a link to the conversation if possible. This concept is inspired by the Recurse Center’s Social Rules. Thanks for the inspiration!